Anne Sexton Pilates is presenting a two-day Teacher Training course on Mat III from January 20th & 21st 2018! Pilates Mat is the foundation of the Pilates Method, and a comprehensive understanding of the execution of the exercise is essential for the development of skill and movement, and to get the best of out of each exercise. 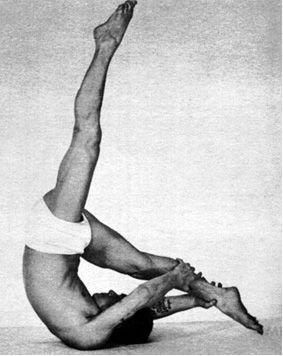 Mat III involves using the full Classical repertoire of Mat Pilates as a foundation of knowledge on which to add in some contemporary modifications. This course is perfect for experienced Pilates teachers who are interested in learning how to modify Classical Mat exercises; it is important for teachers of Pilates to be able to differentiate between the Classical elements of Mat as taught by Joseph Pilates and the new modern modifications as taught by many Pilates studios worldwide. This course is perfect for those who wish to learn how to take each Classical exercise to its most advanced level, as well as how to introduce props and modifications to these exercises. A thorough understanding and proficient execution of levels I and II are prerequisites for Matt III; if you are interested in this course but lack relevant experience, Anne Sexton Pilates will be hosting a Mat I Teacher Training course from the 2-4th of February.